In december 1883, France invaded Madagascar with armies. As reason for the invasion, violation of Lambert charter, the letters of request by Radama II. to France and reconfiscation of the property of French citizens was stated. The discussion leading up to the attack was also influenced by the facts that France had occupied Mauritius in 1810 successfully, that French soldiers had been able to assert themselves against the Sakalava people for decades in northern Madagascar, that a French was killed in Antananarivo recently and that the French flag was offically replaced by Madagascar’s own flag. Actually, especially Madagascar’s prosperity in forests, minerals, other natural products and potential slaves as well as the crucial location at the sea route to India are likely to be the real reason and of peculiar interest. 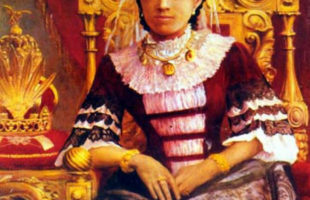 Queen Ranavalona III. 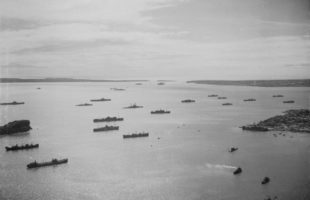 sent her troops against the French invasion and contacted the German Empire, with which she had signed a treaty of friendship in the same year. But the Empire did not come to Madagascar’s aid – at the Congo Conference in Berlin, Madagascar was attributed to France as “field of interest”. Thus a German involvment in the Franco-Hova wars was off the table. The British, who also received a Malagasy ambassador, also denied help as a consquence of the conference. Over the long term, Ranavalona’s III. allied forces could not offer opposition to France in Eastern Madagascar. In january 1887, she was finally forced to sign the contract of Tamatave, which ceded France Diego Suarez (Antsiranana) in the North of the country. Additionally, Madagascar paid 560.000 Goldfranc to Lambert’s heirs as indemnity for violation of Lambert charter. 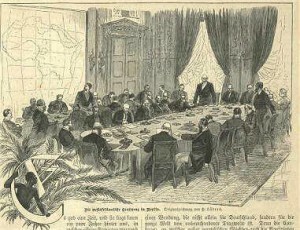 Corresponding to this, concerning the the fragmentation of Africa, Europe’s colonial powers agreed on Great Britain relinquishing any claims to Madagascar to the benefit of France. Therewith, the first Franco-Hova war ended. The contract of Tamatave assured France to represent Madagascar in every foreign affair issue. In september 1980, Great Britain recognized Madagascar as French protectorate. In return, France should cede Sansibar to the British. France had never exclaimed an official protectorate, and the contract of Tamatave did not mention such. The prime minister and queen’s husband, Rainilaiarivony, meanwhile planned a revolt against the occupants. Thus he sent a military advisor, Colonel Shervinton, back to his home Great Britain to look for allies. France, for its part, wanted to bring Madagascar completely under its control. As a matter of prudence concerning a new war – and knowingly who would cause it – France brought its citizens out of Madagascar. 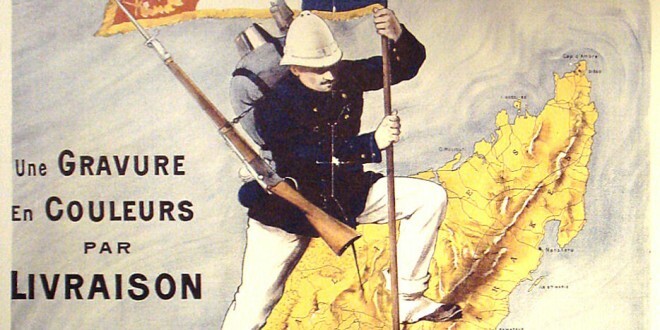 In 1893, France declared war on Madagascar again. In december 1894, French navy occupied Toamasina (Tamatave) at the eastcoast and thus the largest harbor of Madagascar with the aid of artillery. In september 1895, a French fleet led by Admiral Pierre landed in Mahajanga (Majunga) at the west coast. Delegates were sent to the capital to claim the recognition of a French protectorate in the North of the island and compensatory damages of 1,5 million Francs. The queen of the Merina people refused any claims. 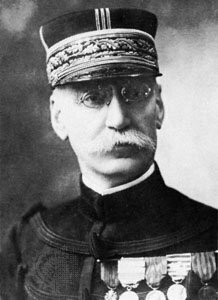 Admiral Pierre was replaced by Galiber, who was also replaced, by Admiral Miot. 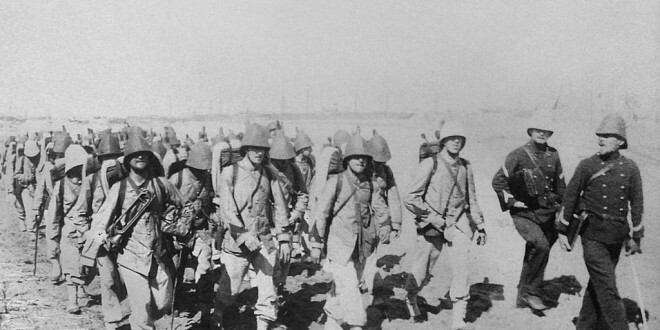 The French troops marched over Betsiboka river to Antananarivo. After a feint attack from the north of the city, General Duchesne’s troops attacked Antananarivo from the east, which took the Merina by surprise. They had envisaged attacks mainly from the west. On 1st october 1895, French marched into Antananarivo. 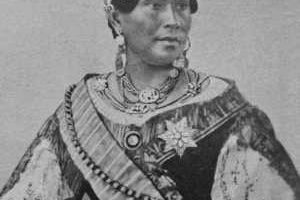 Queen Ranavalona III. was forced to sign another contract in december, which made whole Madagascar a French protectorate this time. Initially, the Malagasy government including the queen should remain in office as representatives. Hippolyte Laroche was appointed as civil gouverneur. In actual fact, France thus had control over all government affairs of Madagascar. With the occupation of the Rova of Antananarivo, the so-called Menalamba movement (mena = red, lamba = a traditional cloth) evolved in december 1895, led by free citizens of the Merina people. They did not admit the superiority of France and rejected the concomitant Christianity as well as any other influence of other countries to their own. On 1st january 1896, the French parliament in Paris decided the annexation of Madagascar. The Merina kingdom ended with the military supremacy of France in Antananarivo. French colonial rule began unter General Galleni, who arrived in Antananarivo in 1896. General Gallieni quelled the Menalamba movement only after one year. 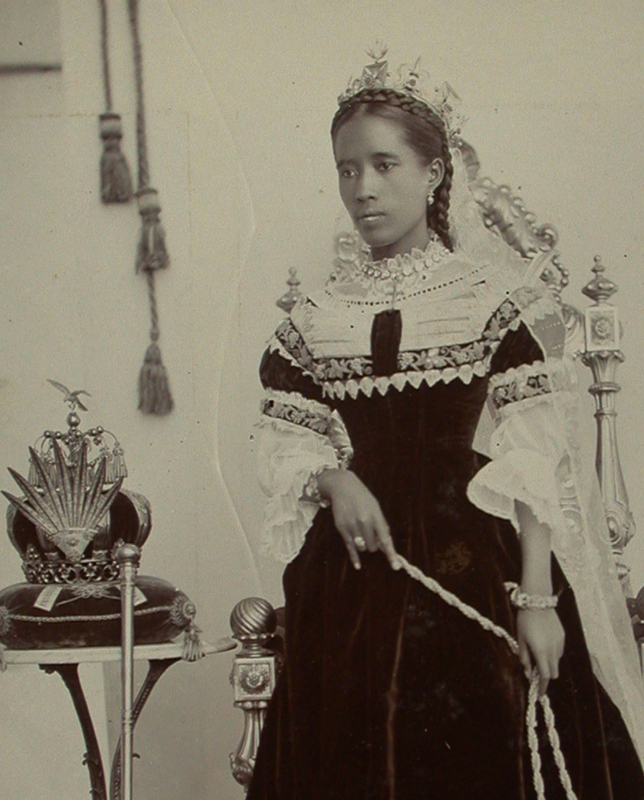 Several key persons of Madagascar were executed, among them relatives of Ranavalona III. and General Rainandriamampahandry, who had led the Malagasy army. One of Ranavalona’s III. aunts was sent to exile, because French were apprehensive to execute a woman. Following the ongoing problems inside Madagascar’s capital, France decided to take over all government affairs of the occupied country. 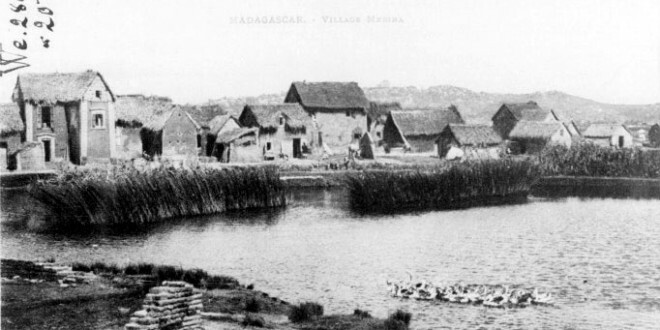 On 6th august 1896, France declared Madagascar as its colony. Queen Ranavalona III. 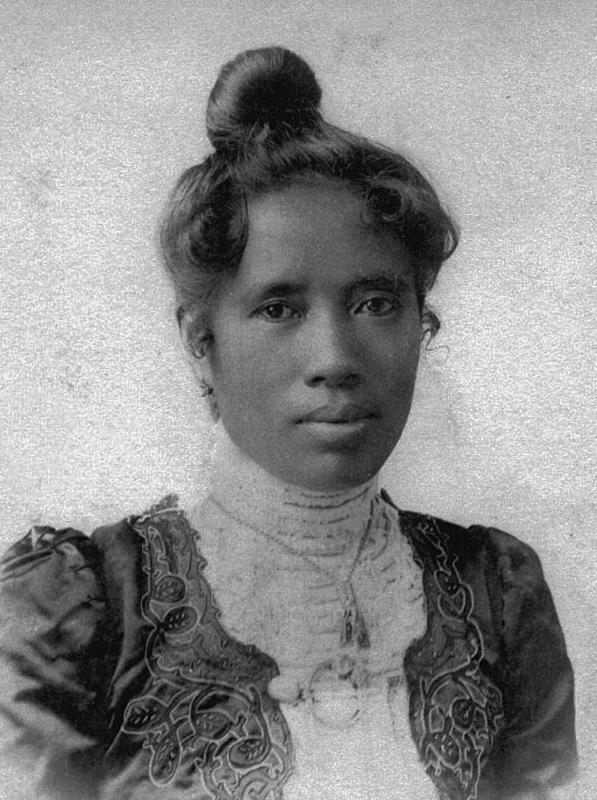 had to sign her own resignation on 28th february 1987, and was sent to exile in La Réunion. 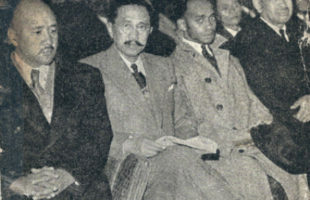 Prime minister Rainilaiarivony was sent to his wife in exile later. He already died in the following year. Ranavalona III. died in 1917 in Algeria, without having ever seen her homeland again. During the wars, only 20 French soldiers died in commitments, but about 6000 died from tropic diseases such as malaria. Until today, noone knows how many Malagasy people fell during the wars. It can be assumed it were much more than French people.